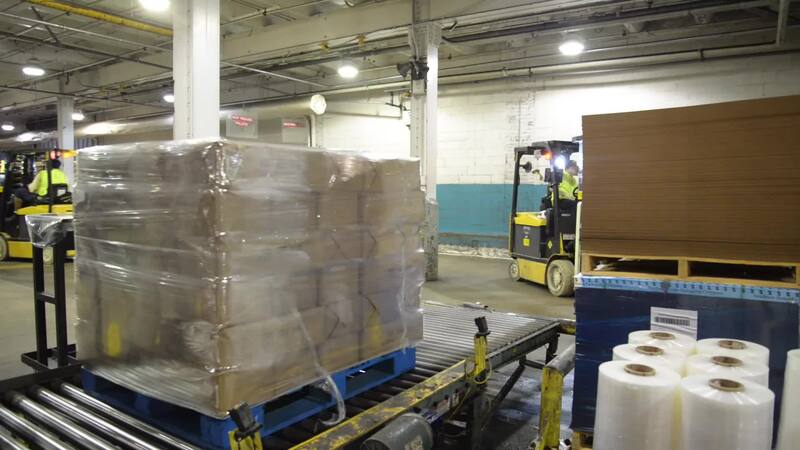 Packaged sugar products are moved from the end of conveyor belts by means of forklifts to a staging area near the loading dock. The Chalmette Refinery is advantageously situated along the Mississippi River, next to the railroad, and near major highways. This makes it ideally suited to a variety of distribution routes that carry Domino products all over the world.